MANILA, Philippines — Nine retired narcotic detection dogs of the Philippine Drug Enforcement Agency (PDEA) are now looking for their new forever homes. 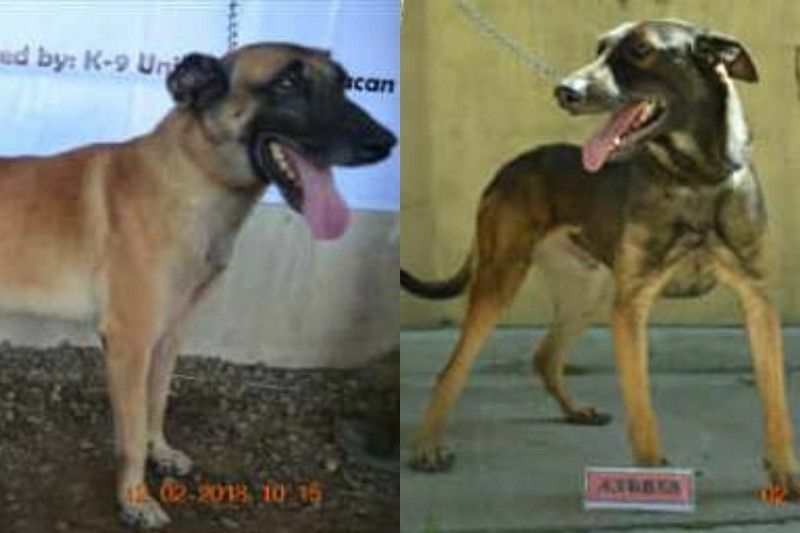 The PDEA K-9 unit said these dogs “were evaluated and recommended for retirement based on their performance in drug detection and health condition.”ADVERTISEMENT“We are posting nine Retired PDEA Narcotic Detection Dogs ready for adoption to those interested citizens,” it said. “Make Hero Dogs become a member of your family,” it added. For those interested, details on how to adopt these dogs are on PDEA’s Facebook posting. You may also contact Agent Bernardo S. Velasquez, chief of the K-9 Unit, at 0917-1423460. BACOLOD CITY — A councilor and his uncle were on the campaign trail on Thursday morning when they were ambushed in Barangay Inolingan, Moises Padilla town, about 48 km south of here. Killed were Mark Garcia, brother of Vice Mayor Ella Garcia-Yulo of Moises Padilla in Negros Occidental, and their nephew, Councilor Michael Garcia. Yulo, Mark and Michael were on the campaign convoy about 10 a.m. when hooded men ambushed them. The vice mayor earlier said then that the charges lodged against them were based on planted evidence to politically harass her. The police claimed that they found firearms and two grenades inside the couple’s vehicle during a checkpoint in Moises Padilla on Dec. 19, 2017. MANILA, Philippines — President Rodrigo Duterte’s threat of “war” against Canada for supposedly dumping their garbage in the Philippines was only a “figure of speech,” Defense Secretary Delfin Lorenzana said. “It’s a figure of speech meant to dramatize his extreme displeasure. But if it were me, I would run after the importer of those garbage,” he told reporters on Wednesday night. ADVERTISEMENTEarlier this week, Duterte warned of war if Canada won’t take back its trash which was shipped in batches to Manila almost six years ago. I’ll give a warning to Canada maybe next week that they better pull that thing out or I will set sail doon sa Canada, ibuhos ko yang basura nila doon,” he said. Include ‘disaster awareness’ subject in school curriculum – Alejano 0 SHARES Share it! Share TweetBy Ellson QuismorioMagdalo Party-List Representative and senatorial candidate Gary Alejano is batting for the inclusion of the subject of “Disaster Awareness and Disaster Mitigation” in the curriculum of primary and secondary schools all over the country. “The devastation caused by the two recent earthquakes that rocked the Philippines last Monday and Tuesday amplifies the need to include in the curriculum of our primary and secondary schools the subject regarding Disaster Awareness and Disaster Mitigation,” Alejano said. 8044, Alejano recommended that the teaching of Disaster Awareness and Disaster Mitigation be included in the curriculum for all primary and secondary schools. The subject should include courses on natural and man-made disasters in order to increase awareness of students regarding their causes and effects. Search continues as signs of life disappear; PNP readies charges against Chuzon, local officials 0 SHARES Share it! “If we are to rely on technology, the life detectors are no longer detecting signs of life. Heavy equipment and various rescue teams are still at the location of the Chuzon supermarket that collapsed during Monday afternoon quake. President Duterte earlier ordered the temporary closure of all the Chuzon supermarket branches in Pampanga. He added that aside from the owners, local officials could also be held liable for granting permits for the construction and operation. Silent streets after dozens of children killed in Sri Lanka attacks 0 SHARES Share it! But after deadly Easter attacks that killed at least 45 children, they have fallen silent. “These streets are usually full of children playing,” said Suraj Fernando, whose own 12-year-old grandson Enosh was among those killed. On the streets around St Sebastian’s, banners paying tribute to the dead are hung on the gates of their former homes. Others depict parents who have left children behind. MANILA, Philippines — Senior journalist Felipe Salvosa II quit from his post at the Manila Times after the broadsheet ran the exclusive banner story alleging of a supposed “ouster matrix” to boot out President Rodrigo Duterte from office. I felt sincerely that I needed to uphold that principle now more than ever,” Salvosa was quoted as saying. The matrix tagged the National Union of Peoples’ Lawyers and three news organizations—VERA files, the Philippine Center for Investigative Journalism and Rappler—in an alleged plot against the president. 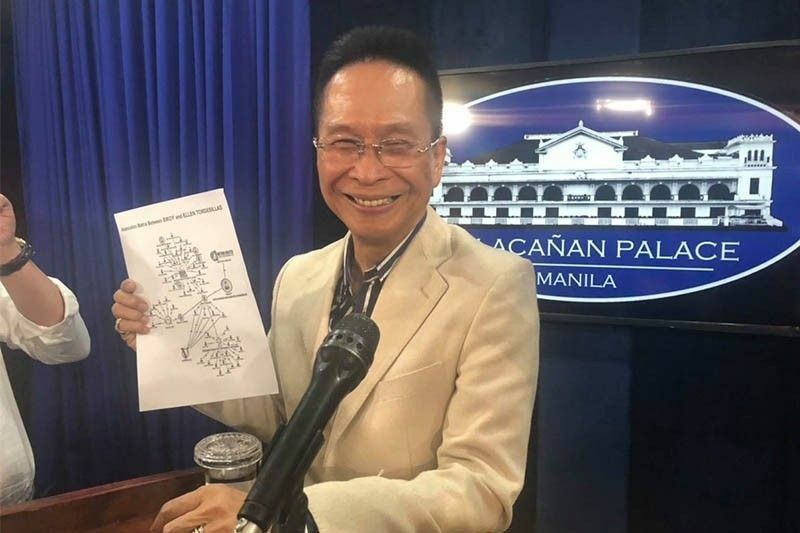 Journalists groups have denied the accusation and pointed out factual errors in the matrix that was supposedly accurate as presidential spokesperson Salvador Panelo said President Rodrigo Duterte was the source. Ang asked him to quit following his tweet, but Salvosa said that he has been meaning to leave anyway. DAVAO CITY — A swarm of minor quakes has hit parts of Surigao del Norte since Wednesday night until past 1 p.m. Thursday, April 25, the state seismology bureau said on Thursday. The strongest of 29 tremors was a shallow magnitude 4, which occurred at 10:54 p.m. on Wednesday and its epicenter traced 60 kilometers southeast off General Luna town, the Philippine Institute of Volcanology and Seismology (Phivolcs) said. It came after ten tremors and followed by over a dozen more within the same vicinity, the strongest of which registered at magnitude 3.4, according to Phivolcs. Phivolcs also recorded a 4.2-magnitude earthquake in the town of Sarangani in Davao Occidental at 9:34 a.m. Thursday but it was not felt on the surface, or has no known intensity. The earth movement, which was tectonic in origin, came after a 4.5 and 3.7 twin earthquakes were recorded in the same town at 11:28 a.m. and at 7:09 p.m. on Wednesday. Kim, Putin vow to seek closer ties at first talksBy The Manila TimesVLADIVOSTOK, Russia: Russia’s Vladimir Putin and North Korea’s Kim Jong Un met face-to-face for the first time on Thursday, vowing to seek closer ties as they look to counter US influence. As the talks expanded to include other officials, Kim thanked Putin for “a very good” meeting. Putin said the talks had been “rather detailed” but neither leader said much about their substance. Labour is one of North Korea’s key exports and sources of cash. The Vladivostok meeting follows repeated invitations from Putin after Kim embarked on a series of diplomatic overtures last year. China’s island cities: Treasure or trouble for Asia? ‘Hidden debt trap’In Colombo, two-thirds of the 665-acre (269-hectare) artificial island located near a deep-sea container port will be given to the Chinese developer on a 99-year lease. In Port City, representatives of the Chinese developer will be part of a “governing body” overlooking investment decisions linked to the artificial island, local media reported. But the projects have raised concerns about coastal erosion, the fate of fishermen and the effects on neighboring cities. In the Philippines, opponents of the proposed man-made island fear it could heighten flood risks and worsen congestion in neighboring Manila. MANILA, Philippines – Cignal-Ateneo progressed to the 2019 PBA D-League playoffs with a 44-point evisceration of Batangas-EAC, 90-46, Thursday at Ynares Sports Arena in Pasig. Tyler Tio poured 19 points as he shot 4-of-9 from downtown to lead Cignal-Ateneo to its fifth straight victory to rise to 7-1. But I told the players to play through that and play good basketball, and that's what we focused on," said coach Tab Baldwin. JP Maguliano was the lone player to notch double-digits in scoring with his 12 points and six rebounds in the defeat. Nieto 16, Navarro 13, Go 11, Mi. Salic’s co-accused have until May 2 to respond to allegations 0 SHARES Share it! Share TweetBy Jeffrey DamicogThe four co-respondents of Marawi City Vice Mayor Arafat Salic have until May 2 to respond to the rebellion complaint against them concerning their alleged participation in the 2017 Marawi siege. In his counter-affidavit, the vice mayor asked the DOJ to dismiss the rebellion case since Marawi Mayor Majul Usman Gandamra fabricated the allegations. “It is noteworthy that all the three witnesses are first cousins of the incumbent Mayor of Marawi City, Majul Usman Gandamra, who happens to be respondent Salic’s political rival. And this is not the first time that they falsely accused respondent Salic and his family with purposes of harassment,” he added. MANILA, Philippines — The Philippine Drug Enforcement Agency’s K-9 unit is set to conduct an “adoption day” for retiring police dogs. PDEA announced that nine of its retiring narcotic detection dogs are in search of their new homes. The adoption day is open to the public and is slated on May 3, 2019, Friday, from 7 a.m. to 7 p.m. The adoption day will be held at PDEA K-9 Unit Facility Sitio Lambakin, Barangay Sto. READ: PDEA’s K9 doggos bowing out, looking for roofs and boopsPDEA Director General Aaron Aquino approved the adoption of retiring dogs last year. Mozambique braces for cyclone Kenneth 0 SHARES Share it! Share TweetBy Agence France-PresseMozambique was bracing for a powerful cyclone to make landfall on Thursday, just one month after another cyclone devastated the country and neighbouring Zimbabwe leaving more than 1,000 dead. National airline LAM has suspended flights between the capital Maputo and Pemba on the northeast coast because of Cyclone Kenneth, it said in a statement. The Red Cross warned it was “especially concerned about its possible impact in Mozambique where communities are still recovering from the devastation of Cyclone Idai”. Cyclone Kenneth passed the Indian Ocean archipelago nation Comoros on Thursday but its effects, including high winds and heavy rains, were still being felt, the country’s Meteorological Office wrote on Facebook.